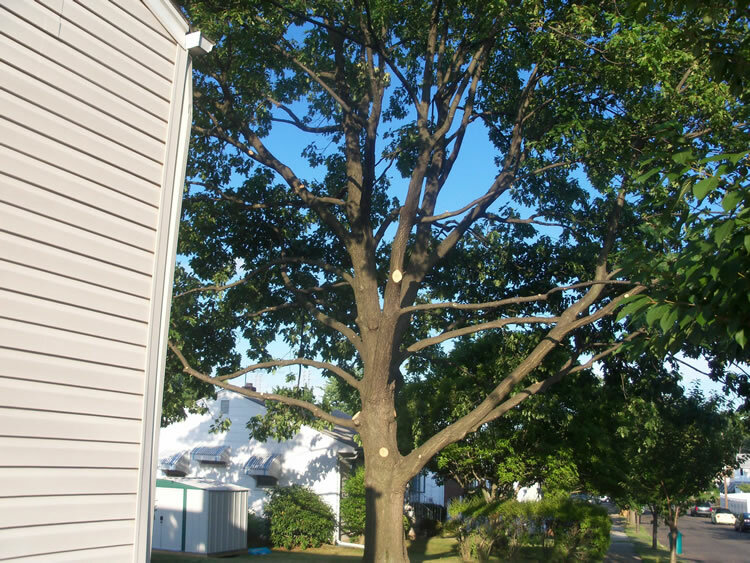 Tree Elevation consists of the removal, or trimming, of the lower limbs and branching to give the tree a taller appearance. During the bidding process, we typically use the term “elevate,” followed by a height in feet to determine the elevation of the tree. If the term “foliar” is used next to “elevate,” it means that a branch starts on the trunk below the designated height, but sweeps up above that height and so it will not be removed, secondary branches hanging below the designated height will be removed.